Buyers may enjoy the ease and excitement of walking into a builder’s sales center alone to view new home choices, but they are not aware of the seriousness of this type of transaction, or the financial implications. They assume that the builder’s rep will give them a better deal and will work in their best interest, and provide all they need to know about the sales process and the area. Often the buyer cannot view models unless they sign a registration form which would exclude a Realtor working in their behalf. Builder’s Sales Staff Represent the Builder. Their contractual responsibility is to their employer, not the buyer. It Will Not Cost You More, Often Less if You Use a Realtor. The commission on a new construction sale is built into the sales price; it is part of the marketing budget. It is co-broked (split) with a buyer’s agent and does not change the sales price if a buyer goes directly to a seller. This is the same principle of resale homes. A builder is not going to lower a sales price because it will hurt their profit and progress to complete the current and future neighborhoods. They often compete with resale homes purchased at a lower price in the past, as they develop a neighborhood that can take five years to finish. The initial pricing a new community is usually at a very low profit margin. As more homes are built the prices increases over time. While assisting you in understanding clauses, riders, upgrades and more, a Realtor understands what you need to be certain of before signing on the dotted line. Builders want you to sign a contract while you are at the sales office while your emotions are high. Builders offer incentives of different types, at different times, and for different reasons. Realtors are the first to know about them before the general public. Builders have a special relationship with Realtors and seek our input, support, and our business because they know that we do our homework before bringing a buyer to the sales office. Our buyers are “Realtor-prepared” and pre-qualified to buy. We save the builder time and effort while guiding our buyers to make the best decisions for themselves. They know that “we know” real estate standards, are not obligated to any builder, and will scrutinize what they do since they do not want to lose our relationship. Realtors Are Skilled Negotiators. We do not allow emotion to jeopardize a transaction and know how to deal with difficult issues or resistance when they arise. We sell homes on a regular basis and have the experience to “position” our clients for the best results. Buyers save more money when an experienced Realtor negotiates in their behalf, and can prevent a loss if an anxious buyer does not have all the info as to the real cost of buying AND owning a new home. We Know Your Best Options. It is wise for a buyer to explore all possible home options to better understand value. 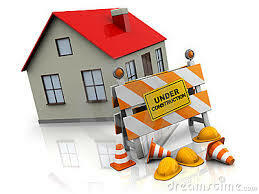 Builders only represent their brand and are not able to show you other neighborhoods or resale homes. A Realtor can research plenty of data including the resale values on a neighborhood, upcoming changes in roads, schools, retail/commercial, zoning, etc. that will impact property value. Real estate markets are local and vary in the same town or city. Model homes are loaded with upgrades above the advertised base cost. A home price has many components and the actual cost can skyrocket if a buyer is not aware of the best-valued options and finishes. Some options may be worth more if it offers a more solid structural component, easier lifestyle, lower maintenance cost, etc. Signing the Contract is Just the Beginning. Builders often offer buyer incentives to use their affiliated companies such as a mortgage lender or title company. Again, a Realtor can negotiate the terms offered by these companies for the best savings. We work with lenders and title companies on a regular basis and understand the pros and cons from experience. Using an attorney for closing has its benefits since the builder’s sales contract is lengthy and is not easily understood. There are obligations that a buyer may not be aware of and it’s best to not be surprised after a non-refundable deposit is provided. A Realtor has relationships with attorneys/title companies and other resources that will assist a buyer once the clock starts. Buying a new home is a legal transaction and needs to be managed in the most effective manner to protect the buyer. In addition, if a buyer needs to sell a home to buy another, it is extremely important that you use the same Realtor for both! The builder’s sales rep has no obligation to you selling a home and the builder’s sales contract is not contingent on that sale. When you sign a contract you are committed to abide by the terms or you may lose a deposit. The two home sales are intertwined and they both must be done on timelines as not to jeopardize the other. An experienced Realtor will oversee and manage both sales transactions with communication to all parties to achieve the best results. Last but not least, Realtors are your best advocate because the designation REALTOR® is a registered collective membership which identifies a real estate professional who is a member of the National Association of REALTORS® and subscribes to its Strict Code of Ethics. We are accountable as licensed professionals and work under standards and laws governing the practice of real estate. I recently had a new home sale where the buyer saved more than they realized, plus, in less than 45 days they gained $15,000 in equity! If you are thinking about buying a new home contact me for the best results! I am certified and know how to navigate and negotiate the transaction, call me for more info: 239-293-9434.